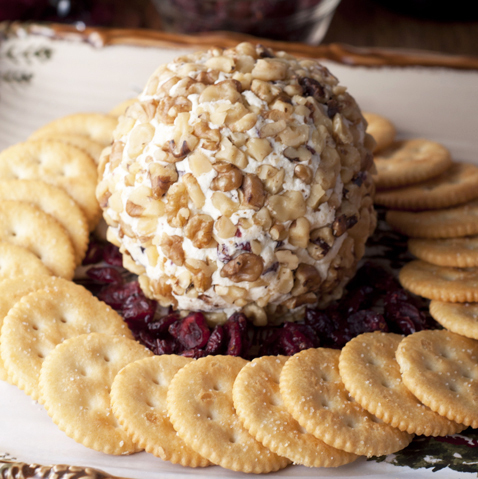 Made with only four ingredients, this Cranberry Walnut Cheese Ball recipe is a delicious appetizer to start off any meal or holiday party. It is the ultimate wine complement! Everyone loves a good cheese ball right? For me it brings back memories of holidays when I was a kid and there was always a yummy cheese ball to devour. There is nothing quite like a retro holiday appetizer with festive colors and crunchy walnuts! Cheese balls never go out of style, am I right? I absolutely loved the sweet and savory flavors of this one with the sweet dried cranberries and the salty/savory cheese and walnuts. My other favorite is this Caramel Apple Cheese Ball I made that everyone went bonkers over! My favorite part about this Cranberry Walnut Cheese Ball is that it is made with only four ingredients that you probably already have on hand. Your next party needs this perfect addition to your snack tray! This is fitting for any occasion, even if you’re just wanting a quick snack to have at home. 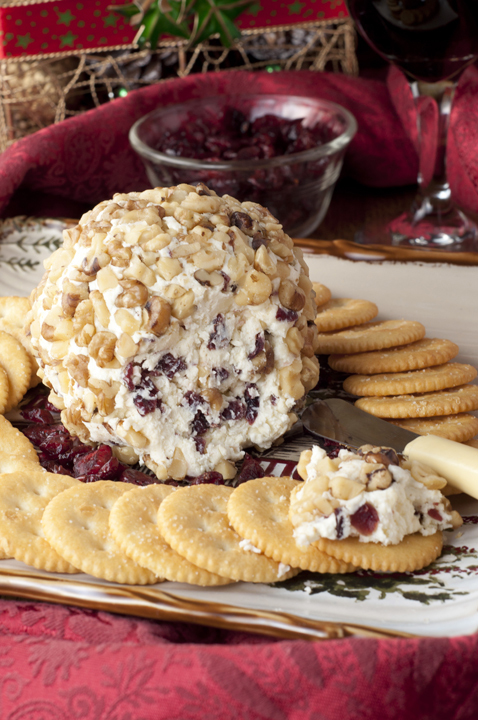 What I also love about this cheese ball is that it pairs perfectly with a good wine! Elegant holiday entertaining doesn’t have to be difficult or super fancy. 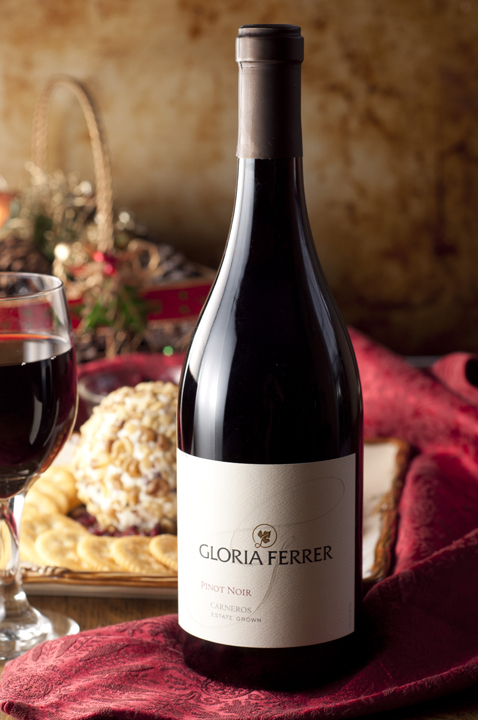 All you need to impress your party guests is a good bottle of this Gloria Ferrer Carneros Pinot Noir and your favorite holiday dish. This earthy and brambly Pinot Noir gives off aromas of black cherry, cedar, and spice with a very smooth aftertaste and texture. This is a sign of a high quality wine! I also was able to try Gloria Ferrer Bland De Noirs sparkling wine and am now a huge fan. It had the perfect amount of fruitiness to it, which is right up my alley, and I know it would make a nice compliment to any holiday celebration. I am not even close to being a wine expert, but Gloria Ferrer wines have earned over 400 gold medals and 50 outstanding 90+ scores in the last 5 years. 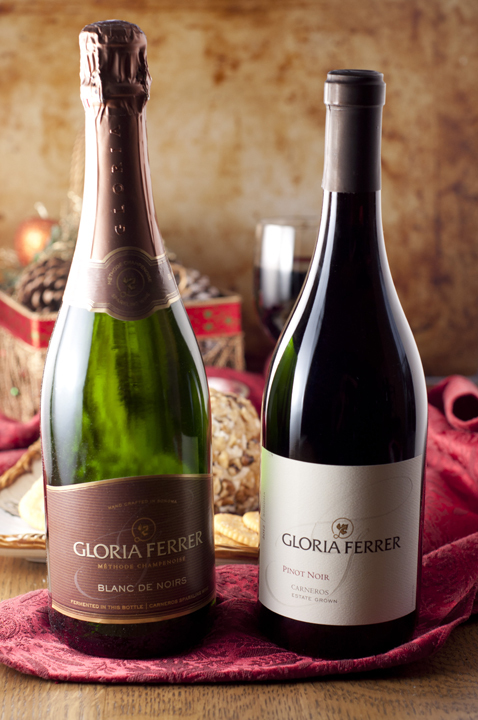 Therefore, I don’t need to be a wine expert to know that Gloria Ferrer is a good choice when it comes to wine and sparkling wine! 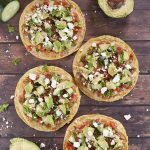 They are perfect for celebrating something big or when you’re just enjoying a romantic dinner at home for two. The sparkling wines of Gloria Ferrer Caves & Vineyards are a perfect match for any occasion (elegant or casual) and are undeniably a very social beverage. Exuberant and fruit-forward, their wines are outstanding with not only cheese, but all of today’s diverse and flavorful cuisine. Gloria Ferrer likes to say they are the “bottled expressions of the vines, hillsides, fog, wind, and sky of Carneros.” Love it! 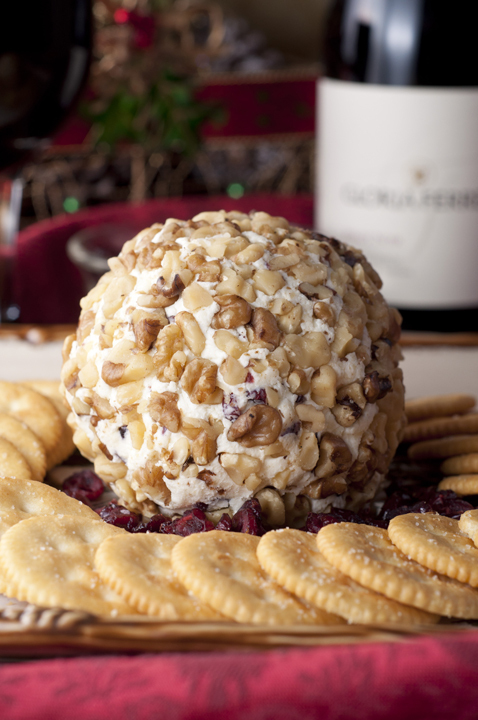 So, pop open a bottle of your favorite Gloria Ferrer wine and make this classic, unforgettable Cranberry Walnut Cheese Ball to go along with it. Your friends and family will be impressed! If you want to make this cheese ball ahead of time, just leave out the nuts as they will get too soft. Add them right before serving! Serve it with your favorite assorted crackers. Enjoy! Made with only four ingredients, this Cranberry Walnut Cheese Ball recipe is a delicious appetizer to start off any meal or holiday party. 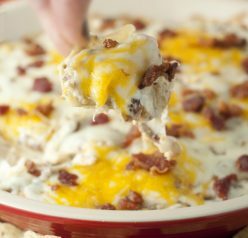 In a mixing bowl mix together cream cheese and cheddar cheese until well combined and cheddar cheese is evenly distributed. Mix in chopped cranberries. Lay a large piece of plastic wrap out on a flat surface. Scoop the cheese mixture out of the bowl and place it in the middle of the plastic wrap. Wrap the plastic around the cheese mound, then use your hands to shape it into a perfect ball. Chill for at least one hour or overnight. Unwrap the cheese ball and using small handfuls of nuts at a time, press the chopped walnuts onto the outer surface of the cheese ball. You can leave the bottom surface uncovered as it will be the side that sits on the plate. Alternatively, add the walnuts to a plate or baking sheet and roll the ball through them, using your hands to press walnuts into all the cracks and crevices. Keep chilled until ready to serve and serve with crackers. Have a cheese spreader handy for spreading. Disclaimer: I was selected for this opportunity as a member of Clever Girls and the content and opinions expressed here are all 100% my own, as always. This looks like so much fun, great idea for a party! This cheese ball looks like it would definitely be the hit of any party! I know exactly what I’m bringing to my next holiday get together. You can ALWAYS find me next to the cheese with a glass of wine in hand at a holiday party. This looks great! I love this cheese ball! Since it is naturally gluten-free, I can make it for my family too and serve with gluten-free crackers. Thank you too for the wine recommendation. Not being a wine drinker myself, I never know what would be a good one to buy for friends and neighbors for Christmas. Now I will look for this one! We’re having a party this weekend – and this cheese ball is having me rethink our menu! I think I need to make this! Looks fantastic Ashley! We like Gloria Ferrer bubbly! Particularly at this time of the year. 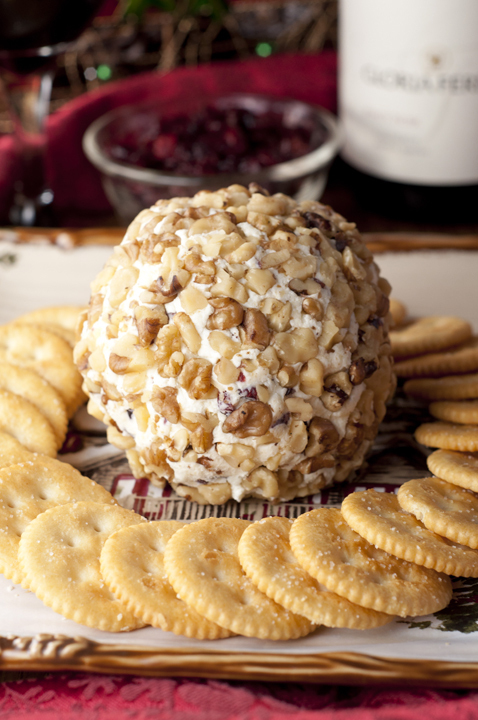 And the holidays really need a cheese ball to help the celebration along. This is perfect! Thanks. Yup, I definitely love a good cheese ball! 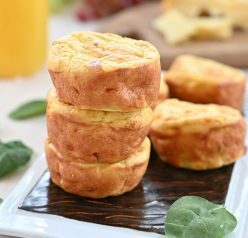 This looks wonderful with the white cheddar and cranberries! And of course the wine! I see this and immediately think Christmas party! You can’t go wrong with cheese and crackers and some sparkling wine to kick start a party.